Remembering Yuri Kochiyama: She moved mountains, quietly. Yuri Kochiyama was a human being. She believed in humans, not in nations, religions, races. She acted on that belief. She fought for the liberation of all people. Born and raised in California, she was mostly sheltered during her childhood. It was one event that changed her life completely. Year was 1941, month December, the day when the Japanese empire bombed Pearl Harbor. Yuri was twenty years old. Soon after the bombings, the FBI arrested her father, whom they considered a “suspect” who could threaten national security. While her father was in federal prison he was denied medical care, and by the time he was released on January 20, 1942, he had become too sick to speak. Her father died the day after his release. Soon after the death of her father, the U.S. government ordered Yuri, her mother and brother to leave their home in San Pedro. They were “evacuated” to a converted horse stable at the Santa Anita Assembly Center for several months and then moved again to the War Relocation Authority concentration camp in Arkansas, where they lived for the next three years. She soon met her husband, and in 1960 they moved to Harlem. She became acquainted with Malcolm X and was a member of his Organization of Afro-American Unity (she would later on, in 1965, hold him in his arms while he was dying at the Audubon Ballroom). Kochiyama also became a mentor during the Asian American movement that grew during and after the Vietnam War protests. Many young activists came to her for help for several of the Asian American protests. Due to her experience and her ability to interrelate African American and Asian American activist issues, Yuri and her husband could secure reparations and government apologies for injustices toward Asian Americans such as the Japanese American internment. My story with Yuri is this – She fell asleep during a workshop because she was tired from her medication. At the end of the day, she wrote me a letter thanking me for helping her all day and thanked me for not judging her for falling alseep during the workshop. She said she was so embarassed from that. First – when I read that, I was thinking, you’re YURI KOCHIYAMA, you have nothing to be embarassed about! Second – throughout her life, she never failed to write letters to acknoweldge people’s contribution and struggle. From the days of writing to internees on the camps til 2006 when I met her, she was still writing letters. Lesson learned – that there is humbleness even when you are a legend and that is one of the most important traits of being a committed organizer to the movement. Cathy Dang , the executive director of CAAAV: Organizing Asian Communities. There is a saying in Japanese: fall down seven times, get up eight times. I think Yuri Kochiyama did that. Through racism, sexism, Japanese American internment, government harassment and surveillance, and the loss of friends, she lived her convictions. She loved and worked across the usual racial and religious boundaries. 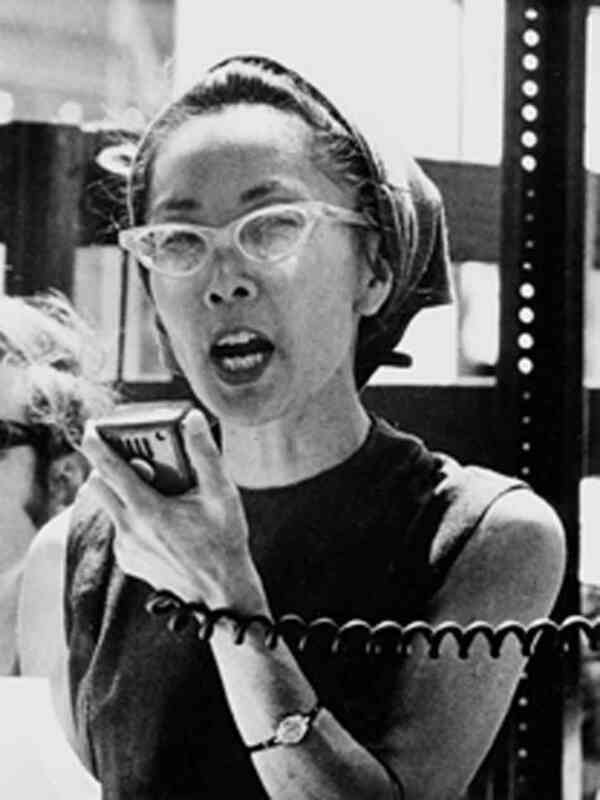 Yuri Kochiyama matters to me, because she engaged in cross-racial organizing for radical causes. She did not fit the usual cultural narrative. Civil rights aren’t just for whites or Latin@s or African Americans or Native Americans or Asian Americans or Pacific Islanders. We needed her because she was holding our country accountable for its actions. We needed her because she upended convention in favor of human rights. The Rev. Laura Mariko Cheifetz , executive director of Church & Public Relations at the Presbyterian Publishing Corporation and a 4th generation Japanese American. I will not mourn your transition. I will redouble my efforts to support the next generations in struggle and live a more intentional and purposeful life. I will never whisper your name. Yuri and Bill always had time for young people, in their home and in their hearts. Later, when I was trying to write a profile about Yuri for a Hawaiian newspaper, I was a little frustrated because she refused to talk about herself, her individual experience. She would talk about people and movements and the inevitable triumph of justice. Rarely would she reflect on the young woman who went by “Mary” and how that young woman grew up to move mountains. A few years after that, I had the sad duty to write about Bill’s life when he passed away. I remember the ceremony and the gathering of people from all backgrounds coming together to celebrate the man. Now two decades later, Yuri and Bill are back together. Some people will point out Yuri’s strengths. But I will always remember her one adorable weakness. She and Bill kept a room full of teddy bears. She loved them. Ed Lin, New York-based writer. For more stories and impressions of Yuri, go to THE tumblr site – Because of Yuri. For me – it’s hard to summarize what Yuri meant and how I followed her story, how I saw it. I guess I could say she was among the first figures that represented what I felt deeply – fighting for justice of all, loving all, caring for all. She did what’s essential for our future, for our life on this planet. And she was so humble, humble and joyful – with her Hello Kitty stickers, and a smile of a child. She knew you need joy to fight the sadness. She knew you need to know all what’s bad, but be aware of all that is and can be good. She knew the reason why all this sadness is roaming around our planet. It was there for one thing only – for us to act and change it. → Battir, The Green Intifada. ← Muhammad Ali on the Vietnam War. Thank you, this is one activist I had known nothing about. A meaningful tribute. You’re welcome, I am glad you met Yuri today. Her legacy is a great one. What an amazing activist, she lived her convictions in face of desertion from all. Inspiring!!! Thanks for showcasing and helping us meet her! Thank you for sharing this moving and insightful tribute to Yuri Kochiyama. You’re welcome, Jeff. Glad you appreciate it.